We have a great interview with WordPress developer, business coach and podcaster Curtis McHale, from Vancouver, BC, CA. Curtis has been involved in the WordPress community for a number of years and has contributed a lot to helping WordPress freelance developers get more quality clients. Curtis has been working in the web field for 10 years. Starting as a developer and now helping developers run a better business so they don’t have to work all the time. His favorite things to do involve the outdoors and his 3 kids and wife. What Your Favorite Motivation or Business Books? The first book everyone should read is How to Read a Book. You need that foundation so you can get the most out of the rest of your reading. Then read Deep Work, Start with WHY, Growing a Business, Book Yourself Solid. What’s The Best Way That Listener Can Contact You? I’d love to give away 2 copies of my current books to listeners. We should talk about the question we want them to answer in your comments for the show. Welcome to WP-Tonic episode 131. Today, we’re talking with WordPress consultant and business coach Curtis McHale. Before we get into today’s interview, I just want to remind everyone, if you’re getting value from this show, we would love it if you would go to iTunes, subscribe, and leave us a rating, and help others find this show. With that, Curtis, tell us a little bit about yourself, and about your path as a web developer, how you got into web development, and how you got to the present day. So, I didn’t hit web development until I was right around 28 or 29. I spent, in fact, most of my early-20s swearing I’d never even have a cell phone, and way out in the outdoors guiding canoe trips and kayaking trips, and then meandering my way through a counseling degree, and decided I didn’t want to work with whiny people, and taught myself development as I was finishing up my degree. I went out into web development for another company, initially, and then as quickly as possible for myself, because I have also always run side businesses. The entire time I’ve been working anywhere, I worked on the side at the same time, and it’s just a matter of finding the right business for myself to run, which was development. Very good. I’ve been following you for a few years now, and one of the things that I’ve always been impressed by is you’ve always very clearly defined your reasons for having a business. You know exactly who you want to serve, and what change you want to bring about in the world. How important is it for business owners to know their “why”, why they’re in business? It’s one of the most important things. It really gets you through the tough times. It also lets you move through transitions. My why, as I’m looking up above my monitor because it’s on my wall, is I help people run the business they want so they can live the life they want to live. That’s my why, and so as a web developer, I’m helping them make more conversions on their site, have a better business so that they can live that life they want to live. As a business coach, it’s the same thing. I’m helping you run a better business so that you’re not working all the time, so you can go spend time with your kids, and that you can live the life you want to live. Most developers end up working crazy hours and on the weekend and everything else, and then they are really still barely making ends meet. They run a hobby, not a business, mostly. A hobby that pays the bills with epic amounts of work, usually. No, definitely, and that’s a phrase that I’ve heard you use several times in your writing, in your videos and your podcast. Explain to the listeners more what that means, running a hobby and not a business. Running a hobby, or another way of thinking about it is owning your own job, and that’s where you have to show up every day, all the time. To even pay the bills at the end of the month, you have to be there every day, all the time, which is a hobby. A hobby is something you do that doesn’t pay all your bills, even. I remember my first couple years running my own business, I was running a hobby. I was just barely making ends meet all the time, and in fact, one time I remember saying to my wife, “Hey, let’s go for a drive together,” and, “Oh, hey, we’re in Abbottsford. We should pick up this check for my client,” and it was totally a ploy so I could pick up the check from the client, so I could pay us that day, too. It was not a nice date with my wife. It was a sneaky date to pick up a check so I could pay us. That’s how most developers, designers that I talk to are really running. They might be a little better than that, but it’s always, “I need more clients. I don’t have enough. I, you know, I’ve got to figure out how to pay the bills this month.” They’re really running a hobby that just usually sort of pays the bills, and does a little better sometimes, but then it’s going downhill the other months. Definitely. How do you advise people to make that transition from running something that doesn’t pay the bills to running a full-fledged business? Another way to phrase that would be, what are some of the obstacles that you see prevent people from being able to attain that? One of the first things I tell most people to do is to raise their rates, because playing with the low rates generally brings in the type of clients you do not want. I was just talking with one of my coaching clients. Over the last couple of months we’ve got him to raise his rates a couple of times. He’s shown us prices for projects and whatever. There was 5,000, 7,000, and 10,000. We said, “No, no, no. Go for like 7, 10, and 12.” I think we actually told him higher, but we got him up to 7, 10, and 12, and the guy took the $12,000 project, no questions asked. That’s where you should be pricing yourself. It was even giving him the confidence to do that, and then the clients are treating better. Even clients that he’s raised prices … They’re like, “Oh, last project was tough with these people but I need the money,” and he raised his prices, and they’re like, “Oh, this project was really easy suddenly.” It’s just having a rate that is appropriate. You don’t charge high rates simply to charge them, but it does show that you are a professional and you should be treated that way, as well. That’s usually one of the lowest-hanging fruits to starting to run that business. After that is, I believe firmly in scheduling out your calendar. My calendar is full all day. It has this blocked out in it, and then working. In that time I’ll also what’s called the Pomodoro method to work for 25 minutes and take 5 minutes off, to be very focused, and that allows me, generally, to be considered a full day worth of work in about 6 hours, and then I go home for the day. Also, I have an external tenant in this building, so I don’t need to talk to anyone, I just work all day. Doing these two things, or like planning. Before I even go at the end of the day, I’ll plan my first task for tomorrow and I’ll come in and do that, and I won’t check my email till noon. Yeah, and I think there’s so many good things that you just said there. I want to address some of those. One of the things you said was you block out your time and you don’t necessarily check your email every 5 minutes. I know that you’re a big proponent of deep work, where you have focus, where you’re able to get more done, and I think a lot of people who are out there as solo web professionals, they feel like they need to answer the email as soon as the client sends an email, or the instant they pick up the phone, they have to answer. Why is that something that you advise against? Well, first off, I think that if your clients are emailing you during a project, you’re already using a broken system, mainly because email is so distracting. Right next to your client email is the newsletter that you’re interested in, or a newsletter you’re not interested in, or something else, or 72 other things depending on the day. It’s not uncommon for me to wake up and see like 42 emails in the inbox. I actually move every current project out of email immediately, and they are required to read a project success page, which I’ve linked to a few times on my site, which says, “Don’t email me. Only use the project management tool. If you don’t use the project management tool, I may not get to you, because if I’m busy, I may not check my email for a couple days sometimes.” Moving them out of that, and that’s what I do with all my current clients that currently have a project. They’re in that system. That’s all I check. I check that a couple times a day, but say even before that, I define the day before what I want to do in the morning. What’s my first task for the day? What project am I working on? I don’t have to think about it. I actually define most of those on Friday, so last Friday before I left, I could tell what I was working on every hour for the whole week. While things come up, I’ve designed my ideal week and then I do my best to make it match up to it. I found out on Sunday that my wife has a hair appointment tonight, so I came in two hours early so I could get home early and get my wife out to a hair appointment, and then take the kids out to figure skating. Instead of suddenly ending my day early, I planned it and planned ahead with her. Definitely. Another thing that I want to unpack is when you said a lot of people are not charging what they should be as professionals. They’re charging too little, and that’s part of what’s keeping them from running a real business is they’re not profitable. What do you think holds people back? Is it confidence? Is it being used to… maybe they don’t think they should be charging that much because they’re used to charging maybe what they earned as an employee somewhere else? What are your thoughts behind that? I think first off is if you’re charging what you earned as an employee, realize your employer was expecting you to cost 50% more than that, so double it immediately. Whatever you made, you need to double it immediately, as a barely baseline. I think it does come down, a lot, to confidence and to boldness, but then you also come down to, if you’re not offering options in your proposals, you’re immediately making it a binary decision. “Is this good or not for me?” If you’re offering, say, three options … If there are three people quoting on a project and you offer three options, you now have three possibilities of decision versus two that are not working for you. You have most of the decision sitting with you already. The client can choose their level of value with you immediately. That allows you to raise your prices, where you can say, “Okay, here’s the base what they want. Here’s something extra, and here’s something they said, ‘Oh, this is a dream. If we could do this, I’d love to do it,'” and you add that as your third option. That alone will help, even if you don’t raise your rates, that will help raise your profitability immediately, and at close, increase your win rate. I can’t tell you the last time I sent out a proposal [that I didn’t win]. That’s not true. Last Christmas I sent out a proposal that I didn’t win, because I didn’t ask the right questions, really. It was my fault. It was not the client necessarily at all. They didn’t choose to go with someone else, they just chose not to do it because it was too much. That definitely brings up another great thing. When it comes to asking the right questions, I think a lot of web professionals, they have the tendency the minute they’re talking to the client, they’re already thinking of how to solve the problem. One thing that’s made a big difference in my business this year is … Two things. Charging for discovery each and every time, and spending a lot more time in the planning and talking to the client phase, taking some of that time away from the development phase. What are your thoughts on discovery and Socratic questioning when it comes to finding the problems that you’re trying to solve for your client? Most definitely, and that’s another thing I feel that is probably a big opportunity for a lot of web professionals and people who are out there freelancing is, they don’t communicate enough, or they don’t make their clients feel secure, because they go in the mole hole for three weeks, as you said. What things do you prescribe to other web professionals to maybe help them with their communication with their clients? Every Friday my client gets a recap of what got done this week, what’s the plan for next week, and it’s like a three-point update in Redbooth, is the project management system I use. Every Monday, they basically get the same thing that says, “Hey, this is what we’re going to do this week,” and on Tuesdays, it’s booked for a 30-minute call. Usually just take about 10 minutes where we recap and talk about anything that they came up, and one of the questions I always ask is, “How do you feel with how the project’s going?” There are plenty of times with clients where they’ve said, “I’m not happy about this.” We say, “Okay, let me talk for a little bit more,” and we come up with a solution. Then next Tuesday they’re like, “Oh, I’m so happy we talked about that last week. The project is going great. I love it!” Just because I’ve asked them, we’ve addressed the issue. Sometimes we say, “Well, you know, it’s a technical issue. We can’t do this, so …” but because we’ve addressed it and talked about it together, they are now in with the process and happy with the project. I get on Skype with them every week and we talk for, say, 10 or 15 minutes, sometimes a little longer depending on the client, but most clients I would say only take 10 or 15 minutes. That includes, we usually talk about whatever. I’m working with a home school site right now, and we also home school, and our kids are about the same age, so we usually laugh about the ridiculous things one of our children has done for a couple minutes, and then we talk about the project. I’m going to ask one more question before we go to commercial break. That is, when it comes to pricing, what are your thoughts when it comes to how people determine their rates, and what are your thoughts on billing by the hour versus value pricing, which is becoming more popular. But I think a lot of people don’t know how to value price. What do you find works for most web professionals? I fall on the value pricing side of the equation always, but I think most people when they do value pricing, they think they’re just going to guess at a number they want to charge. They don’t actually look at the value to the client, so they can’t tell you that, “Okay, because we’re going to, you know, institute this new …” I’ll use the home school … because we’re going to institute this new system, new membership system, what’re we going to do? Well, we’re not going to have the maintenance people of the other system we were using crash our site every quarter, almost, because they’re “fixing” something, and they’re going to crash it and it’ll be down for a couple days, and then we’ve got to get someone else to come in and fix it, and they have no idea what they did. That’s one benefit. Saying we’re going to charge, it was 15 … I think I offered her like 12, 15, and $20,000 options, and those were all totally viable. They’re going to see those in two, three, or four months as a return-on-investment. I usually go for a 10x return if I can, but if it’s lower than 3x, I really start questioning with the client if it’s viable. If I’m going to charge you 10,000, I can’t see that there’s a viable path to you making 30,000 out of this. Whether that’s 30 in saved time, so you don’t have to hire an employee, or 30,000 in extra revenue, or a split in some fashion percentage-wise, then we question whether we’re going to do it. Occasionally I’ve done those, but that’s because it’s part of a long-term play. This is the first step. Here’s the long-term plan. Once I see all these other pieces come in, I can see we’re going to see like a 20x return, really, because by the time you’ve paid for all these other pieces, this is a good idea. Now, I still believe you probably should have an effectively hourly rate, and Diane Kinney talked about this really well on Post Status recently. I’m a little bit behind, so I’m not sure if it was last week or the week before, but she talked about doing all your time, which I had gotten out of for a long time, but I started a couple months ago, so I’m just starting to realize good numbers on that. Even right now, I am timing with Toggl to add this to my marketing time for external marketing purposes. You should be timing that and seeing what is really profitable, good or bad. Toggl I don’t use as my billing system at all, so the client will never see it, but it is good for me to know what’s good and what’s bad, and how my profitability is actually working out, and on what types of projects it’s working out well. Just as a follow-up question, you basically time track internally just to gauge it against your effectively hourly rate to see if a project is profitable according to your internal gauging? Yep, and I also use time-tracking to see, did I have an ideal week designed? I time track, and in Toggl it’s you color-code stuff, but I just basically color code it into external and internal work. This’ll be counted as internal, because it’s, say, for marketing purposes, but all client work gets, I think it’s purple, and green is all internal work. Writing, working on my site, all that stuff, and I basically want to see at the end of the week that my percentage of hours is pretty close to what I expected it to be. I said I would do, whatever, 25 hours for clients this week. What did I get? Well, did I get somewhere between like 22 and 27? Then that was a decent week, and same on the other side. Some weeks will be a little heavier weighted to one or the other, and that’s what I use it for internally as well, as well as was this project actually profitable? What’s my effective hourly rate on it? Absolutely. No, that makes a lot of sense. We’re going to go to our break and then when we come back, we’ll be talking more with Curtis McHale. We’re talking with WordPress consultant and business coach Curtis McHale. One of the things that you talk about a lot in your writing and your podcast is people have a hard time finding leads. For you, how has your lead generation system changed over time? 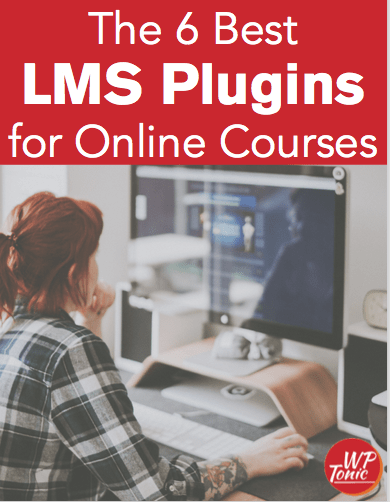 I formerly spent a bunch of time writing a technical site and getting in with a reasonably technical community like Pippin Williamson, the founder of Easy Digital Downloads and the lead developers of many of the top plugins that I work with. Now I mainly rely on that. They send me not only, I’m on a lot of their contact forms for recommended developers, but I’m also … When someone goes through support and has a problem, support will send them to me. I’m also on the support side for one of the two or three of the, we’ll say, top developers internally as well. Even colleagues, like if someone comes to me with a payment gateway, I don’t do it. I send them to one of my friends, because that’s just better for them, or an email service gateway. Anything like that I don’t want to do that. Alternatively, if someone has theme work to build the site, to increase conversions, my friends don’t want to do that either, and so they send it to me. It is mainly referrals now for the development side, because I am building up the coaching side, right now, of my business. With that, I do essentially the same thing I did with the development side. I write, I speak, I get on podcasts, I do my own podcast, and it’s in many ways getting known. There’s not hurricanes in Vancouver, is there? There’s no what? No hurricanes in Vancouver, no. Lots and lots of rain, though. Despite the sunniness outside, we’re supposed to get lots and lots of rain today, but that’s just normal here. Definitely. I’m going to ask a follow-up question to that and then I’m going to kick it over to Jonathan Denwood. You put a lot of effort into marketing. You write daily on your blog. You have your podcast, the Smart Business Show, with the accompanying YouTube channel. I see you make appearances on other podcasts. I see you guest-write in all manner of publications. Why are more web professionals not doing this, seeing as how we are in the digital world? We’re basically online marketers. Why are more people not doing this? They’re lazy. Did I think about it earlier or just said it earlier, people want success without the actual effort. Everyone wants some, fake but idealized, sitting on the beach with your laptop and drinking whatever you choose to drink. That’s what they want, but they don’t want to actually do any effort to get there, so I know even some people who are farther ahead than me in the, say, business or course realm like Brennan Dunn … I have known Brennan for a number of years now. I know the amount of work he put in, and while it is less work now, he is still putting in more work than you probably expect, and the work he put in formerly was huge to get to where he is. I know a number of other people that are the same way. They’re the instant overnight success after 20 years of doing pretty much the same thing. Even Chris Lema is a name that’s well-known in the WordPress industry, and he seemingly came into the WordPress industry out of nowhere. In like a year, all the big companies were consulting with him. He spent 20 years in software development. He spent a year researching the WordPress economy and where he should fit, and deciding where he could position himself before he went out and attacked it. In one year he did get a huge success, but he has 20 years of experience doing these types of things, so of course he did really well. It’s like when a top cyclist starts doing triathlons and within a year, they’re one of the top contenders. Well, of course they are. They already had all this base of fitness, and all this other stuff they had to transition into some parts of it, but most of it was already there. Bottom line, there’s not a real shortcut to success. Maybe we don’t see it, but those people are putting in the work. Yeah, the only shortcut is to look at the people that are doing what you want already, and model after them. If they talk about the mistakes, try not to make the mistakes. That’s going to get you there faster. There’s also, what is it? It’s always attributed to Malcolm Gladwell, the 10,000 hour rule. I know I’ve listened to a few podcasts with the original founders of the study, and that’s probably a misnomer. What they would actually say is it’s 10,000 hours of specific practice. It’s not just, I’m going to go walk for 10,000 hours and I’ll be a runner. I’m going to go run. I’m going to train. I’m going to track workouts. I’m going to run intervals. I’m going to run hills. I’m going to do all this other stuff. I’m going to have a coach that’s going to come back and say, “This was wrong. This is why we didn’t do it well,” or, “I can see your heart rate’s too high. You’re probably sick. That means you need to taper off a little bit.” It’s 10,000 hours of deliberate practice, not just doing the activity. Oh, hi there Curtis. Like you said earlier on, you got a lot of developers that really just got a hobby business, and doing a lot of hours and it got to the stage where they’re thinking of going back to the corporate booth. I wonder if you could give some, say over three month or six month, give some tips or advice, actionable things that they might be able to do to turn things round in a three month to six month period. Yep, so one thing we’ve done this with one of my coaching clients recently. He was having continually low leads and we worked together, and we got him on recommended developer lists for about the five or six top plugins that he wanted to be on, simply by asking. He was surprised at how easy it was. He said, “Hey. I’d like to be a recommended developer. Here’s some projects I’ve done,” and sent them code. They said, “Oh, absolutely. We’d love more recommended developers that we can trust.” I had a couple contacts I sent him to. “If you have overflow work, you should talk to my friend John.” He got more work out of that, and in about two or three weeks, we increased that. He’s also started writing, blogging about topics that specifically … That’s another thing developers do when they blog, and it’s good, but if you’re writing say four blog posts a month, one a week, you should be writing one for your peers, and the rest of them should be for your clients. What problems are your clients going to be at? That’s going to take longer than the instant three-day turnaround or something. The fastest is to network a little more, get people to refer clients to you. Get on those recommended developer lists. They are sometimes a little lower quality leads, but it’s still getting leads in, and surprisingly, say if you have ten of the lower-quality leads, there’s usually one gem in there. I’m on a number of them, and usually from each list there’s one project every year that I look at and I’m like, “That looks like a really good project.” I start asking more questions, and it is like a $20,000 project, they just didn’t know where else to turn. That’s the fastest return I’ve seen is getting on those lists and starting to network a little bit more, and intentionally networking. You’re not just showing up at some WordCamp or a Meetup group and standing in the corner and talking to people, but looking at the list and saying, “Who’s on this list? Who’s going to this Meetup tonight?” because Meetup shows you. Looking through the site that the person has linked in their profile and saying, “This person looks like they could be a good one. I need to go say hello to them and say, ‘Hi, I’m Curtis. What do you do? Tell me more about your business. I looked it up and I see that you do this. Can you just tell me more about that? '” and intentionally ask more questions, talk less, which is funny that I’m being interviewed on the podcast, but that’s something that sits here on my monitor to remind me. Ask more questions, talk less, basically in every facet. Great, Curtis. Just a follow-through question, based on my experience there’s a lot, a lot of small businesses that would consider $1,000 to $3,000 a lot of money. How do you position yourself … I know you touched this during the conversation, but I think the larger businesses tend to have more management, more layers which can in some ways, make it harder to get to the decision-maker. In a long-winded way, how do you position yourself where you’re doing between the 6 to 15,000 when you’re … What are the type of events in your area where you meet those clients rather than the 1,000 to 3,000 clients? First off, I work for almost nobody in Canada, even. Almost all of my clients are in the US. My biggest client this year was probably Malaysia? Somewhere in that region, anyways. I worked for someone in New Zealand. All of those came from referrals, but I think we also vastly underestimate the amount of businesses there are that have 10 or 15 employees that, if I could say we’re going to spend $10,000 on X and you’re going to get $30,000 back, they’d say, “Oh, okay.” Even my local bike shop, and bike shops are not low-profit, but they’re not a high-profit retail endeavor. Talking to the bike shop owner that I used to work for, and we talked numerous times. I don’t generally work for friends. I referred him off to someone else, but once we talked through the return-on-investment that he could see, and how we could position it, he was totally in for a $10,000 spend. He had to save a little bit for it, and budget for it, but we vastly underestimate how many people are actually willing to spend that when you show them the value, when you talk through it. Now, there’s also plenty of leads you’re going to get. When I first started out I hit Craigslist and my local Chamber of Commerce, and just look around for all these sites, and I sent 10 emails a day to get my business rolling. I don’t do that now, but just generating enough motion brought in enough income in the beginning, and there was lots of low-value things in there where I was trying to justify that I wanted to do. Like, you should be doing work, but … There’s tons out there. I think we vastly overestimate how many clients we need in a year. You need 10 clients at $10,000 to make $100,000 in a year. Are there 10 people in the world that you could service that have $10,000 that you could help them earn more money? Yes, there are. If you want to do $20,000, you need half the clients again. I work for like seven people a year, generally … Six, seven, maybe eight people a year, on a substantial projects. I have old clients that’ll come through and it’s couple hundred dollars here and there. It’s just a quick fix and I’ll do that, but the bulk of my income is out of those 10 clients in a year. Thanks. Let’s go on John. Got a question? Sure thing. One of the things that you’ve talked about extensively in your writing is writing proposals for clients. What are the biggest misconceptions people have about writing a winning proposal? I think one of the things is that they figure that 90% of the sales process is the proposal, and it’s not. 98% of the sales process happens before you ever hand them the piece of paper. By the time the client has seen the piece of paper, I’ve actually worked on the proposal, every part of it except the pricing, with them collaboratively. I open up a Google Doc. I open up and I have all my sections laid out, except for pricing and timelines. That’s all on me, and we’ve worked on together. We’ve refined it. I’ve written it out first, the first draft, and they’ve gone in and edited it and said, “Nope, that’s not my goal,” and we adjust the goal. I do it that way because there’s always three things said. One of the great things out of my counseling degree … There are always three things said: what you thought you said, what you actually said, and what the other person heard. Those can wildly different. If you’ve ever had a girlfriend, boyfriend, spouse, anything, you know you’ll say something and they’ll be like, “I can’t believe you said that to me,” and it’s like, “No, that was I was trying to tell I loved you. Like, what do you mean? Why are you mad about that?” and they’re like, “Oh, I didn’t get that at all. It was totally rude, I thought.” There’s always wildly different things. Then providing options, which I already said. Providing options is one of the key ways to raise your rates a little bit and to try out higher prices at the same time. I am consistently surprised at how often clients go for a higher option than they even said their budget was. They told me a budget of $10,000. My third option is usually, say, $11,000 to $12,000. Consistently clients go in for the 11 or $12,000, and that’s usually something where they said … Earlier this year there was a client and they had to do a ton of HTML coding to make their site. I said, “That’s ridiculous,” and so as I was writing the proposal, I thought, “Automation is the real issue. That’s mostly what we’re doing. We’re automating this. Yes, we’re adding a theme, but ultimately this is automation,” a lot of the processes, which was mostly just setting up WordPress properly. I said, “I can create new memberships in Restrict Content Pro by Pippin. I buy, with a checkbox … I can say, ‘Check this box. It’ll spin up a new membership for that category and it’ll be done,” and I said, “That, that’s going to cost four grand,” and he said, “Okay,” like not a question asked. Five minutes after I said it in the proposal, I had money coming into my bank account. That was above his budget, because I latched onto what I guess his dream was, what the ultimate goal he was pushing for was, and then I provided that. Another thing people do, even when they provide options, the first option is … Say the client wants an eCommerce site, and the first option is, “I’ll build you a theme.” The second option is, “I’ll build you a theme and an eCommerce site.” The first option doesn’t even count. They can’t even take that. That’s like saying, “I want to buy a car.” “Well, I’ve got a car over here that has no wheels and no engine, but there’s a car you can look at.” That doesn’t count. You’re fooling yourself saying that that’s even an option. It needs wheels, and it needs an engine, and it needs to turn on. Those are some basics that it has to do. That is it. I’d say work on it collaboratively. Spend a lot of time up-front. Every client that I have a proposal with … I’m going to say almost every client. Sometimes your current clients, or clients, get to skip part of the process, but they get an email with I think it’s nine questions. They basically ask a lot of why are we even doing this project? What’s the point of it? What’re you going to get out of it? What’s the timelines? What’s your budget? Those type of questions, and those are all up on my site somewhere. I’d have to find the link exactly, now, but they are all … I think eight of them are up there and then the other one I’ve added is just a variation on one of the questions, because it gave more clarity. Then they all get a phone call. That’s sometimes where I skip with existing clients because we’ve all talked about things lots of times. I know their site. They know me, and I don’t have to vet to see if they’re good to work with each other, unless there’s some technical clarity we need together. Then, if I can determine the project well after that phone call, I will do a proposal. If not, then the next thing is paid discovery, and that’s the proposal they get is paid discovery. Usually I can tell within the first 10 or 15 minutes of a call if we’re going to get to that point or not, and then I will begin prepping them for paid discovery and selling them on that in that first call, paid discovery, X number of dollars. I think especially once you’ve done paid discovery, and done it well … Let’s caveat this all. You’ve done the first part well, then your win rate should be 99.9% on the next part, because you’re already there. I’ll produce a whole report sometimes and say, “Here you go. Here you go. Take this to anyone you want,” and they’ll get other prices. They’ll say, “Your prices were way higher,” and I say, “Yes,” and that’s it all. That’s all you say is, “Yes,” or, “Okay.” They will talk themselves around, most of the time, within a minute or two of going with you anyways. You’re setting your boundary and you’re holding it, basically. Occasionally I’ll have clients look at the three options and say, “Oh, I really like this in option 3, but the pricing is too high, and so, like, what can we do.” We rearrange it and come up with our own custom option that sits somewhere between 2 and 3, or we cut something out of 2 that maybe isn’t ultimately needed, but something in three really was now that they looked at it. That’s fine, too. I never mind doing that, but we don’t just stick something out of the one option into a lower option and do it for free or anything. No, definitely. That makes a lot of sense. I think we’re going to wrap up the regular portion of our podcast. Then after this, we will have some bonus content that will be available on the WP-Tonic website from this interview. Before we go, I know that you have two books that you would like to give away. We will be selecting those by viewers or listeners. You can get a hold of us and just tell us, what was the biggest thing that you learned from this interview with Curtis that you didn’t know before. You can get a hold of us via email. You can hit us up on Twitter, or you can leave a comment on the blog. Tell us a little bit about the two books you would like to give away. The first one is Effective Client Email, and it is every email template that I have that I use for like my Monday recap, my Friday recap, my initial client questions, my, “No, go away,” email, which is polite and lets me write adult words and auto-fills into a very polite, “Thank you very much. Have a good time with your project,” when that client is rude. All those emails, and just what it means to send an effective email. There’s also some stuff in there about cold emailing as well. The second one is called Writing Proposals That Win Work and is all about writing effective proposals. It gives you the six sections that I use in my proposals, and it’ll give you demo proposals that … I think it even has a variation on the one, with names changed and scenarios changed, but where I did the automation that I talked about today, where it shows you the exactly options I used and how to write good proposals. Those are the two books that we will give away. I have read those and they are excellent. I learned a lot from them myself, so definitely leave us a comment on the blog, leave a comment on our YouTube, or get a hold of us via Twitter, and we will announce those winners in a couple weeks. For outros, Curtis, how can people get a hold of you? They can go to curtismchale.ca and that’s C U R T I S M C H A L E dot C A. That’s the best spot and I’m Curtis McHale, all lower-case, everywhere. You can find me on Twitter there … Yeah, that’s all I do, so Twitter. I suppose I have a Flickr account, but I don’t use it, so it’s there, though. Very good. Jonathan, how do people get a hold of you? Well, I’m quite easy. I’m all over the internet like a rash, aren’t I, John? You can email me at [email protected] I do answer my email after a couple of days. I’m always on Twitter, so @jonathandenwood. I’ve been told that I reply to those pretty quick, but I’m accessible when I’m not focused, folks, so contact me. Very good, and you can get a hold of me on my website which is LockedownDesign.com, and you can also find me on Twitter, @Lockedown_. With that, we’re going to wrap up the podcast. Be sure to catch the bonus content on the WP-Tonic website. For everyone here, thank you so much. Thank you for appearing, Curtis, and we’re signing off. Now we are rolling into the YouTube bonus content. This is the juicy content. The juicy content. I didn’t know it was that type of show. Who knows? I only meant in a slightly juicy manner. Go on, John. Got any questions? Yeah, sure. One thing, too, I think that people don’t realize as well is positioning yourself. It really makes a difference in going from being one choice out of many into being one choice out of very few, or the only choice for something. In your own business, in SFNdesign, how has positioning helped you go from being just another developer to being this elite person within membership sites and eCommerce? I’m not saying that if one of my coaching clients is a lady, I wouldn’t say no. She doesn’t want to work all the time. She wants to go out biking and other stuff, so of course I will take on something like that, but that also makes you the choice for an option, because people know who to send out to you. Definitely, and you are definitely on a very short list of people that I think of when I think of difficult membership sites. I think it really helps when people can put you easily into a category, because there’s so many web design and web development places out there want to do 50,000 things for anyone with a pulse and a checkbook. There’s nothing distinct about them, but what you were saying about positioning and finding a very specific audience, is when people come to that site, when you’ve got all the stuff on the site is talking to them, directly to that person or directly to that industry and that problem, they can’t even conceive of going with anyone else, because you’re speaking directly to them. I think probably my best blog post ever was fixing a WP eCommerce problem, and it earned me like $25,000 in a year, because somebody said, “Hey, I have that problem. I fixed it. I have other problems. Can you help me?” and I said, “Absolutely,” and it was a $25,000 client that year and probably like a $5,000 or $6,000 client the next year. I haven’t talked to them recently, but it was one blog post … Technical posts and screencasts used to take me a while to write and do, like it’d take me probably an hour-and-a-half or two hours to do it all, but it was worth it for that one lead. Then he sent me other people over the years as well, so it’s really exponentially more than $25,000, but it was a focused on eCommerce blog post. It’s almost never the one you really put all the effort into. This’ll be the best piece ever! Then like only two people looked at it in a year, and then it’s some flipping thing you did in ten minutes because it was frustrating, like, “I’m going to tell someone about this,” and everyone’s like, “That’s awesome! Thank you so much.” Yeah. You just keep doing it, right? Most definitely. I think a lot of people are afraid to niche, or address an audience, because they fear that they’re going to lose out on that business, but I think if you focus your marketing and your site content and everything that you’re putting out there, you become known for that. I think people are afraid to … I think they’re also a little bit scared of committing to that path and having it be a desert. Everything that I’ve heard and everything that I’ve seen … Everything that I’ve experienced is the more that you go down that path, the more you experience the riches of it. That’s how I got to it. I just kept … “What am I enjoying? What’s the most profitable? What, like, where are people contacting me?” and I just kept tightening it down and tightening it down and tightening it down until I’m at the spot where I am now. I didn’t just say, “I’m going to niche in,” and throw a dart at a board, or play bingo or something to come up with my niche. I picked consistently. Even with coaching, as I was listening to a business show and they talked about coaching, or people called and said, “Could you be a coach?” Are people calling you to ask about problems like this, this, and this, and I said, “Absolutely.” My friend called me yesterday. He’s like, “I’ve got a new contract to negotiate. This is the friend, I quoted them $3,000, but how do I get that because they were blocking it?” I said, “Why’d you charge them $3,000?” and we got them to charge them $4,000 a month instead. He negotiated a higher rate after talking with me, and I was like, “That’s great.” Yeah, people are talking to me about this. Can I ask a kind of question? Curtis, I find a lot of the more profitable clients in a city or region, they have fears about hiring a freelancer. They prefer to go to an agency because they think the agency will be around, and not too sure that the freelancer’s going to be around. It’s just a safer solution. Let’s say around that $20,000 to $50,000 mark. Have you got any kinds of words of wisdom about how a freelancer should deal with those concerns or situation? Probably the first one is, don’t call yourself a freelancer. Call yourself a consultant or something. There seems to be some general connotation with the word freelancer that you are transient. “I’m doing this for a bit,” so I probably called myself a freelancer at the first, and now everything is under my business name. It’s SFNdesign. If someone asks, I say, “Yeah, it’s just me.” “Well, what if you’re not around and I have a problem?” I say, “You know what? Everyone always asks me that, and you know what happens? No one ever calls me.” I got like one call in two years on a weekend when I wasn’t around, and I said, “Oh, yeah, I can help with that.” No one ever calls me, so it’s a non-issue, or I’ll set them up with some service like WP Site Care … No, there’s a bunch of other ones out there. You couldn’t actually say WP-Tonic, could you, Curtis? WP-Tonic as well, that’s right. I was trying to think what the other ones are. WP-Tonic as well is a good one. That’s great. You’re welcome. Using a service like that is what I set people up with as well for the issues, but reality is most clients are concerned that there will be issues, and lots of times there aren’t. Sometimes you have to hit the fear head-on. Yep, that’s what I say. Most issues are not life-threatening. I remember when I was first starting out, somebody called me like five times, and I finally woke up at 2am, and they’re like, “My site is down and I’m losing thousands of dollars,” and I just said, “No, you’re not. You sold $100 last week. You sold $100 every week for the last number of weeks. This call cost you $100 cause I’m annoyed, and I’ll talk to you in the morning,” and hung up the phone. They were all mad the next day, and I said, “Listen. You spent $100 already. Now you’re annoying me again. That’s another $100 call. You realize that? I’m probably not interested in taking more work, because I don’t want to work with this, so it’s not a life-threatening issue.” I have literally crashed my own site and been like, “I was going to go kayaking right now,” and just whatever, come back to it later, because while it is important to have my site up, I don’t sell everybody. I might lose out on a book sale in a day. It’s unfortunate, but I can go kayaking or hiking with my kids instead. Very good. I respect you so much more, even more than I did before after that. Yeah, and I did not work for that client again, and they acknowledged they were being silly. I think they updated something while I was … It’s working now. Great. I’m glad you called me last night. No, I’m not. I don’t even take my laptop home on weekends at this point. I don’t even use it, because I work about 5 kilometers from my house and I don’t take it ever. I just have my iPad at home for reading, and that’s it. No, definitely. Boundaries are very important and if they want to pay a premium to have access to you, then it needs to be a high premium. There you go. I think that is, too, something that you have to put in contracts for sure, to make sure that you’re covered. That’s definitely one of those things you learn as time goes on. One last follow-up that I want to hit is, we were talking about picking a niche and all that. I know that you’ve mentioned before that you’ve used Book Yourself Solid by Michael Port, great resource. Only if you’re going to do the work though. If you’re not going to do the work, don’t waste your time. Yes, yes. Tell the listeners just a little bit about that, in case they don’t know the story of how you came to find your niche and choose that. In looking at Book Yourself Solid, I probably read it three times and then I was like, “Oh, it’s an okay book,” and then I read it and did the work, and I was like, “Whoa, this is a lot of work, number one, and number two, this is great work.” It asks you a lot of questions, not necessarily about your why … There are other books that are better for asking about your overall why you work, why … what your purpose in life is, like Start With Why is a good one, or it’s Jeff Goins … I think it’s The Art of Work … by Jeff Goins, for sure, and I think it’s The Art of Work. That’s a great book as well. He talks about it in terms of your purpose, and you use that finding your story. Like I said, your niche, I think that you just need to, every quarter, “What project did I like? What projects were the most profitable? What were the best clients? Okay, I want more of those,” and just keep narrowing it down. If you find that you’re in eCommerce or not … All the eCommerce projects were terrible. You hated them. You don’t want to do them. They were no fun whatsoever. What did you like? You liked the content strategy project you did. It had a little bit of development in it, maybe, but it was fairly minor. Start pursuing more content strategy projects. Maybe you can do extra development in it, and that’s fine. I do a very tiny bit of design work. If we have a theme and it’s got a good base set of styles, we’ll expand the whole site, we’ll add new chunks to it, but I am not a designer. My two-year-old does a better design job … a little dinosaur-pasted picture over there that would prove it. She’s way better than me. Just keep narrowing it down. Don’t just say, “I’m going to pursue this niche because someone else does it and they make money,” because that’s maybe not where you should be. Same thing with productivity methods. Just because it’s a good method for me does not mean it’s a good method for you. You got to know yourself, bit part of it. Well, anything else, Jonathan? No, I think we’ve covered the whole area. Thank you so much, Curtis. I’ve actually thought it was a very interesting interview, and we gave, or you did, gave some great advice to those struggling developer and designer types. Thanks, Curtis. Yes, definitely. Thank you for being here. We very much appreciate your time and expertise.